The Apple Watch Series 4 will be offered in slightly larger sizes than in previous generations, Wednesday's products page sitemap leak reveals, with this year's releases supposedly offered in 40-millimeter and 44-millimeter variants. Surfacing early on Wednesday, the sitemap includes listings for two different sizes of Apple Watch, but with slightly different dimensions from last year. Spotted by Slashleaks, the sitemap lists accessories for new 44mm and 40mm versions of the Apple Watch Series 4. The Apple Watch Series 3, the previous generation that also appears in the sitemap, was available in 38mm and 42mm versions, just as with previous models, with that version continuing to be offered in its existing sizes. At present, it isn't clear if the 42mm size will have an upgrade to Series 4 specs. The change in size for the Series 4 range was tipped in rumors and practically confirmed in an image leak from Apple itself in August. September's beta for watchOS 5 also indicated a change in resolution for the display to 384 by 480 pixels, which would certainly indicate the use of a lagrer screen. Apple is expected to unveil the Apple Watch Series 4 at its "Gather Round" event later today, alongside three new iPhones named the "iPhone XS," "XS Max," and "iPhone XC." Nice! The Apple Watch is what’s really got my attention this year. Not so much the iPhones, for once. I can’t wait for the watch and just may upgrade from my S2 Nike. I hope they offer a Nike + version! Does that slight size increase mean existing bands won't fit either model? "Apple Watch Series 4 in 40mm, 42mm, and 44mm sizes confirmed in sitemap leak" Might want to fix the title. Series 4, from the looks of it and what was written here, will not come in 42mm. 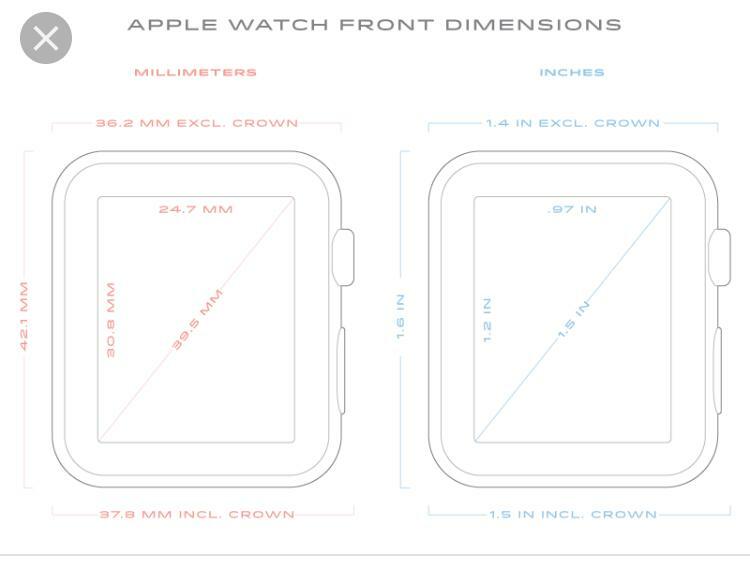 It looks like the bezels around the displays will be narrower (as with the later versions of iPhone), which would allow for larger displays (38 —> 40 mm and 42 —> 44 mm) without a change in the watch case design itself. The size changes are most likely from a bigger screen from smaller bezels rather than a larger body. Yes! I love my first edition stainless Apple Watch, but I am so ready for a refresh, and form factor is really the biggest motivation. they could even go bigger imho. lug my 6+ everywhere, including workouts. performance I’ll doubtless notice, but wasn’t driving me nuts. I wish the stainless steel and better crystal were a cheaper option. Surely they can do this for under $100 where you can buy a normal watch with those features. I know... tiered pricing is an art. This just gets better and better. I'm really looking forward to today. The mm count is the lug to lug width, not display size. Someone on MacRumors said the watch would have to get slightly taller if the bezels were reduced to keep the bezels symmetrical. In that case the bands would still work. I’m guessing a slightly taller but not watch wouldn’t really look much bigger on the wrist? Take my money for the Series 4 now Apple Lol. Spoilers gotta spoil. Geez, hang on for just 4 more hours and tell the spoilers to go pound sand. It's like when you were a kid and one of your siblings determined where "Santa" was hiding all the unwrapped presents. Do you really want to spoil the surprise? Why not just let it be fun and enjoy the moment as it unwraps. Damn all these rumour websites that are forcing me to look at them. Hopefully the rumored 44 will have a bigger case; as is, my 42 looks tiny on my wrist. There are human beings with large wrists and fingers. I really want to see this 44mm in person.